At any time, you can run two masternode contract functions and retrieve your 20,000 PIRL stake back into your wallet. 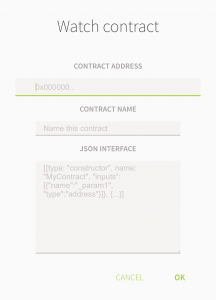 On the right side, the contract function menu will be shown. On the next screen, confirm you have enough gas for the transaction, enter your UTC file password and hit Send Transaction. Allow 30-60 seconds before running the next step. Sometimes the wallet will be unable to automatically calculate the gas needed for a transaction and will automatically set it to 0. In this situation, you can manually adjust the gas by clicking on where it says 0 and write in your own amount. A good amount of gas for this purpose is 121,000.